HealthLinx’ aim was to utilize an Administrative Director Surgical Services project management solution designed to manage the Big Four Threats to Success™ in order to acquire a Permanent Leader within a defined timeline, and ultimately to improve outcomes. Following an initial conversation with the client, the HealthLinx Permanent Leadership Acquisition Process (PL120) was implemented in order to remove existing threats and acquire a quality permanent leader within 120 days. 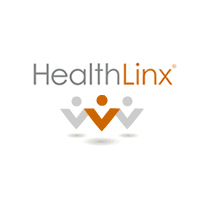 HealthLinx always performs a diagnostic assessment, sets realistic expectations, and then uses its proven processes and best practices. Using this highly prescriptive process, all levels of the organization were engaged to develop and then execute the project plan. The Diagnostic Assessment is the most important part of the entire project. The identification of issues that could interfere with or derail the project plan are documented and addressed at the inception of the project to prevent unresolved issues from negatively impacting the success of a new leader. The organization’s willingness to increase salary and create a hospitable welcoming environment for a prospective leader interviewing helped attract and ultimately acquire the best leader for the position in the shortest timeframe. HealthLinx found a leader with roots to the community using its proven, best-in-class process for leader sourcing. On their own, the organization and the leader would have struggled to find one another, and time as well as money wasted.